Grades: Austenitic, Duplex, Martensitic, Ferritic. Width: 1000mm / 1250mm / 1525mm / 2000mm. Jindal Steel produces world-class galvanized steel products in its galvanizing facility with a capacity of 1 MTPA. The products offer excellent properties such as corrosion resistance, good service life, excellent surface finish, and close dimensional tolerances. this is a product, we have developed & supplied to jindal steel. In this product, one can get max. Wt. Per piece in kg for various lengths of g. C. Sheets for various product codes. a similar product can be developed for various industries. this will be a customize product. Branding can be done on opposite side. 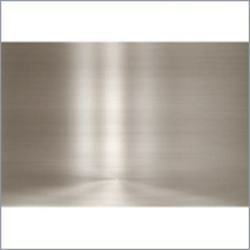 Stainless steel has been used in architecture, building and construction since its invention. Stainless Steel provides tremendous design flexibility to high profile projects while their strength and resistance to corrosion, wear and fire make them a practical long lasting choice for public and industrial buildings. We, KAPIL AGENCIES are the registered trader (MOU Customer) of STEEL AUTHORITY OF INDIA LIMITED (SAIL). We are also one of the major suppliers of Llyods, Arcelor Mittal, Jindal. 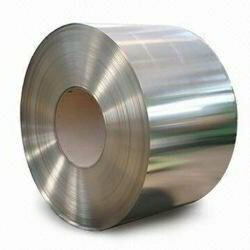 We supply high quality Semi Finished Steel Bloom, which is used for rolling of broad sized finished steel products. We source Blooms from SAIL, Jindal and other primary manufacturers as well as local manufacturers. This Semi Finished Steel Bloom is available in various grades. Our firm is a foremost name, involved in providing a diverse range of Jindal Hot Rolled Steel Coils.